T.J. Yeldon spent Tuesday touring another AFC East team’s facility. After meeting with the Patriots last week, the former Jaguars running back is visiting with the Bills, Adam Schefter of ESPN.com tweets. The Bills have two All-Decade team-caliber backs in LeSean McCoy and Frank Gore, but both are north of 30. Entering what would be his fifth season, Yeldon would obviously represent fresher legs. Jacksonville, however, diminished Yeldon’s role as his time in north Florida progressed. After a 182-carry rookie season, the one-time second-round pick ended his Jaguars stay as the team’s third-string running back — behind Leonard Fournette and Carlos Hyde. 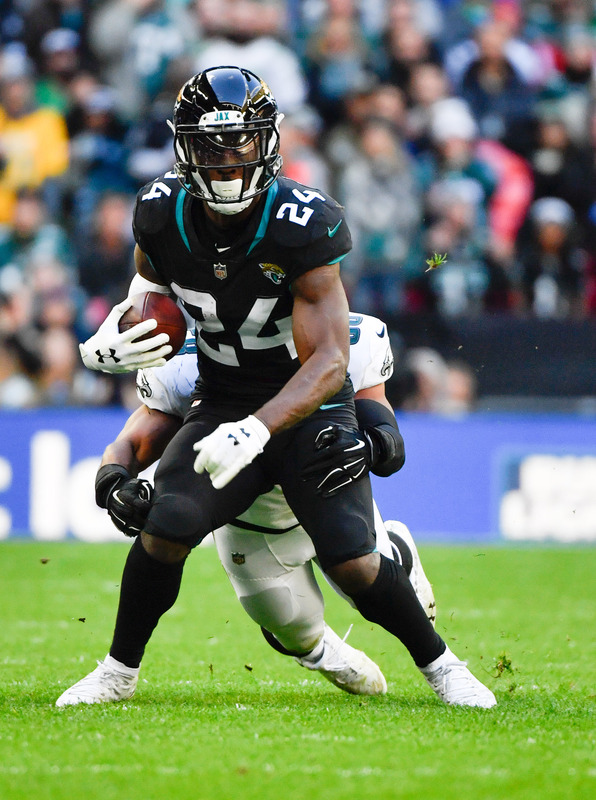 Yeldon has averaged north of 5.0 yards per carry, however, doing so as recently as 2017. He averaged 4.0 yards per handoff last season. The 25-year-old runner was the Jags’ top pass-catching back for a while, however, and he hauled in a career-high 55 passes for 487 yards and four touchdowns last year. McCoy is obviously one of the best receiving backs of this era, but he is going into his 11th season. Only two Bills — wideouts Robert Foster and Zay Jones — surpassed Yeldon’s receiving-yardage total last season. In Year 3 of the Brandon Beane/Sean McDermott partnership, the Bills have used free agency revamped their offense considerably. John Brown and Cole Beasley are in place at wide receiver, with Tyler Kroft now at tight end. Several new linemen are now on the roster as well. Yeldon would be a similar step for a Bills team that has changed up most of its McCoy supporting cast. The Bills have signed free agent pass rusher Eli Harold, according to a team announcement. 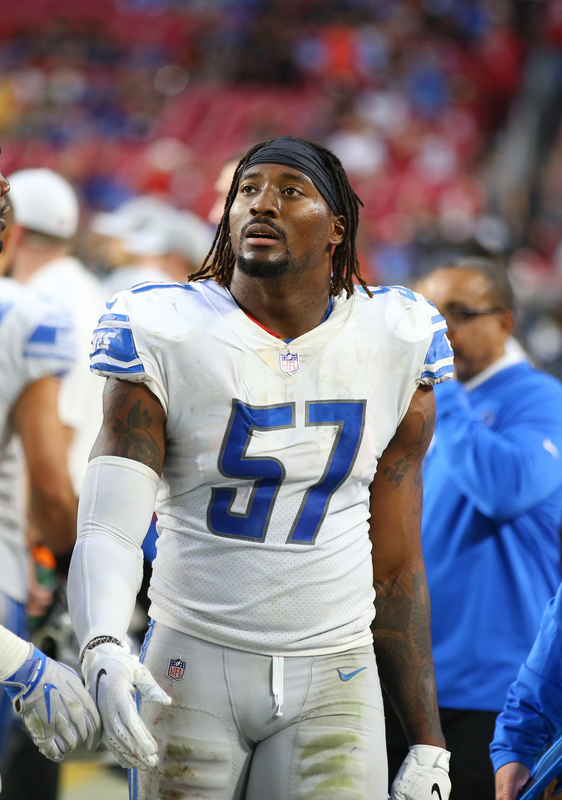 Harold, 25, played last season for the Lions after being traded from the 49ers. Harold was utilized as an outside linebacker and a situational pass rusher with Detroit last year, but the Bills’ press release refers to him as a defensive end. At 6’3″, 243 pounds, Harold may not have ideal DE size, but he could be an option for the club’s No. 4 DE role. Harold started for most of his final two seasons with the Niners, but spent the entire year as a reserve in Detroit. Still, Harold managed a career-high four sacks, including takedowns against Tom Brady in the club’s early-season upset over the Patriots. 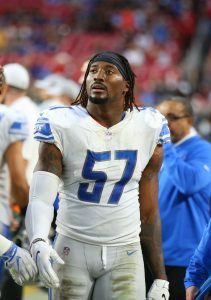 Between now and September, Harold will push to make the roster as a supporting member behind bookends Jerry Hughes, Trent Murphy, and Shaq Lawson.